The SDG Global Festival of Action features a range of sessions, innovations and performances, all contributing to the Festival experience! In order to create a diverse, dynamic and inclusive event for the international SDG community, a crowd-sourced approach has been adopted – the application window to be part of the program has now closed, but watch this space for program updates soon! 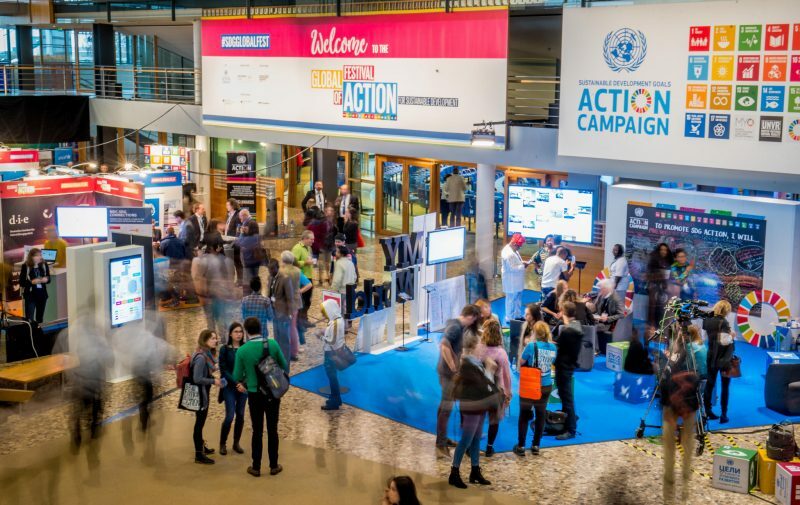 Positioned in front of the plenary hall, this area is the SDG Action Campaign space where participants can learn and test the various SDG tools and initiatives that are led by the Campaign. From sharing participants’ own perceptions through the MYWorld survey, experiencing virtual reality stories through MYWorld 360, to pledging commitment to particular goals with the augmented reality butterfly effect SDG wings, the Campaign team will be at hand to meet and explore further engagement ideas and opportunities while sharing the latest toolkits and initiatives that can be adopted to further SDG action.